Heeft u een vraag voor Umae Villa? Tijdens uw bezoek aan Bali zult u zich snel thuisvoelen in Umae Villa, dankzij de hoge kwaliteit en de goede service. Gelegen op 0 km van het hart van de stad, bevindt dit 4-sterren hotel zich op een excellente locatie met de grootste attracties binnen handbereik. Dankzij de praktische locatie liggen alle belangrijke trekpleisters in de buurt van het hotel. Het Umae Villa biedt een onberispelijke service en alle essentiële voorzieningen om reizigers een plezierig verblijf te bieden. Voor het comfort en gemak van de gasten biedt het hotel 24-uur roomservice, gratis wi-fi in alle kamers, 24-uur receptie, snel in- en uitchecken, bagageopslag. Treed binnen in één van de 11 uitnodigende kamers en ontvlucht de dagelijkse stress met een breed scala aan voorzieningen, zoals plasma tv, thee, spiegel, handdoeken, internet (draadloos). Daarnaast garanderen de talrijke recreatieve mogelijkheden dat u zich tijdens uw verblijf kunt vermaken in het hotel. Ontdek een boeiende mix van professionele dienstverlening en een breed scala aan faciliteiten in het Umae Villa. - 1e 24 uur geen warm water - idem geen wifi - zeer slecht tv signaal, maar 15 zenders aziatisch - meerdere dagen geen kleine handdoeken - geen kussens op de ligbedden zwembad - geen badlakens, alleen 2 douchelakens - personeel wordt niet aangestuurd, allemaal jonge mensen die het ook niet weten en kunnen (ver)helpen - een lekke theepot - de pancakes niet gaar/rauw opgediend Kortom van de vele hotels die we hadden op Bali was dit de teleurstellende! Niet ver van het centrum. De nieuwere villa's met twee verdiepingen hebben minder privacy dan de oudere villa's. Bij de nieuwe kijk je zo in het zwembad van de buren. Goed geregeld, het enige wat wij minder vonden is dat je niet van je af kon kijken, maar dat je in een hokje zit. 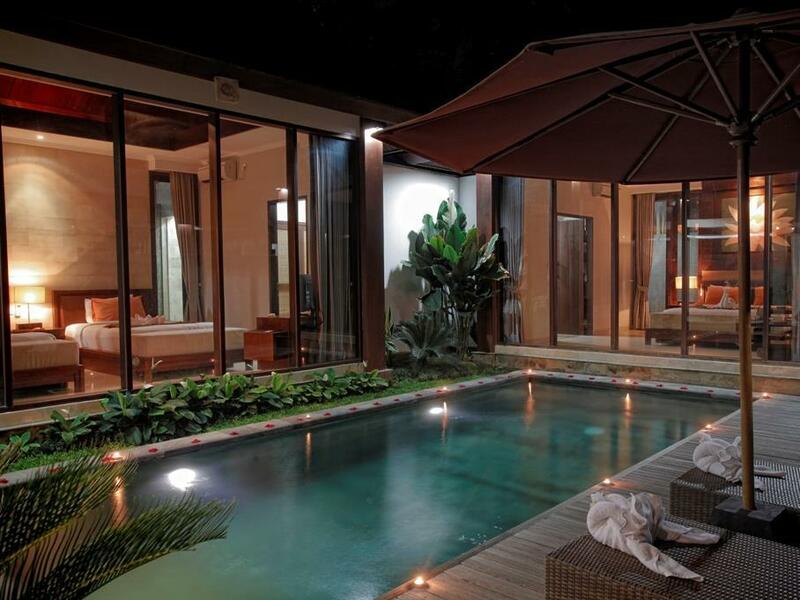 Nieuwe prive villas met mooie grote badkamer ensuite net buiten het centrum van Ubud. Het verblijf in Umea was erg prettig, mooie, grote en luxe prive villa met eigen zwembad. Het Umea is geopend in november 2013 en daardoor nog een beetje last van opstartproblemen als ontbijt en communicatie onderling. Het personeel doet echt het maximale om het de gasten naar de zin te maken. Supervriendelijk en gratis vervoer van de villa naar Ubud. We zijn slechts 1 nacht gebleven en mede daardoor is de review beperkt tot de kamer en het behulpzame personeel. Die waren prima. Wij hadden een goede deal via Agoda en wanneer je de full monty betaald kunnen de kinderziektes misschien in de weg zitten maar ons gevoel was dat ze hier meer dan prima mee omgaan en open staan voor suggesties. Honestly, i was blown away with the villa with private pool and bath tub. The pool was not so huge but it was sufficient for us. If u want bigger pool, go for the double storey villa but it has no bath tub. I was so happy with the villa and everything about it. The staff was very kind and helpful. 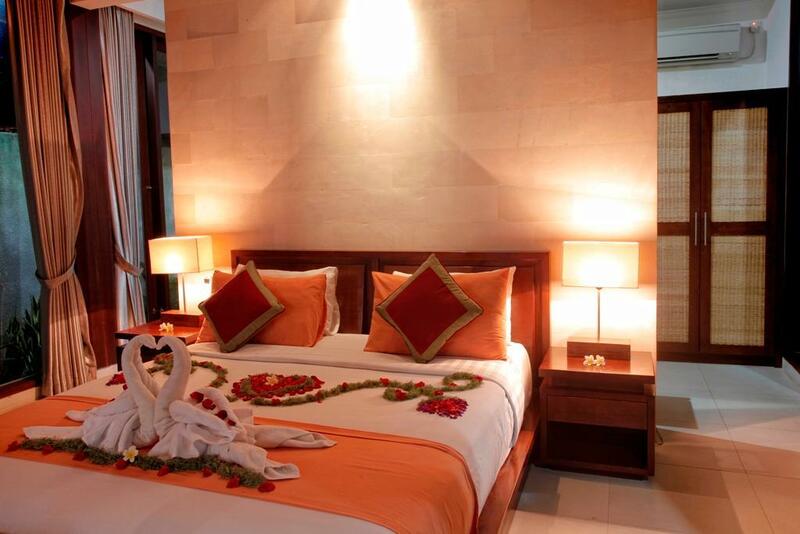 The hotel offers free shuttle to ubud market n nearby. Monkey forest is 5-10min walkable cz its behind the villa. The location of this villa is so good where u can find very nice cafe and restaurant within 5-10mins walkable. 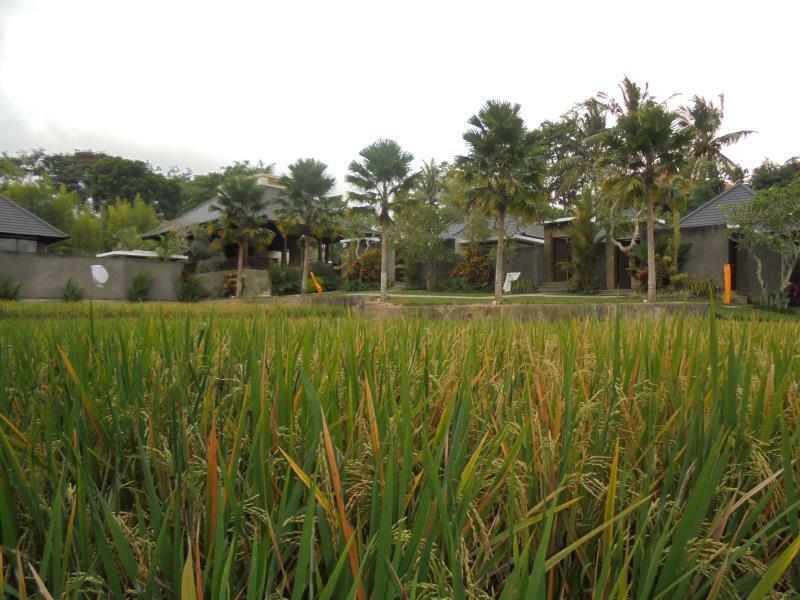 Also they have paddy fields inside the villa. Such pretty villa and all i can say is i had a great stay at Umae Villa with my husband and my 1year 6month old boy. Happy family!!! Spacious villa, near lots of restaurants. Staff were helpful. Only thing negative would be that there’s no phone inside villas so you need to walk ti the reception area if you need something. 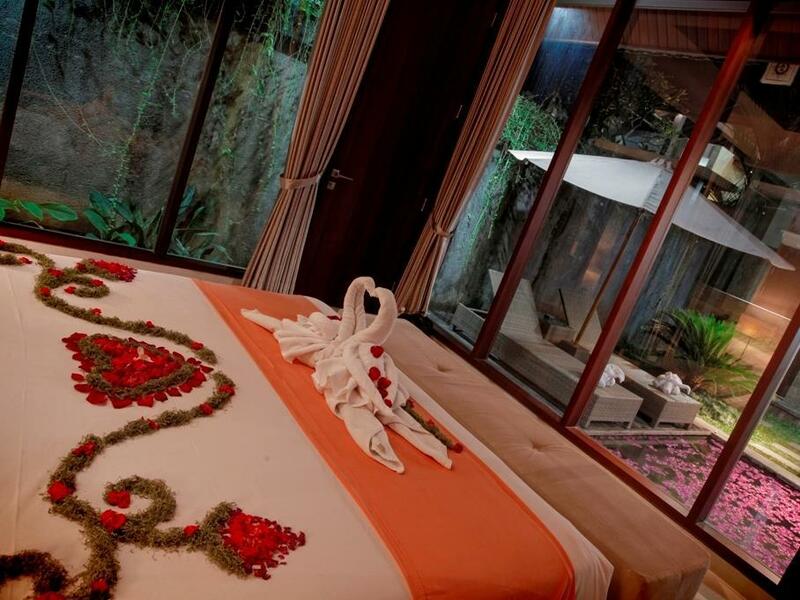 The hotel is located at central Ubud but you still can experience the quiteness and the sounds of bird chirping in the morning with private pool and kitchen. Everything about this villa is 5 stars. im loving this hotel. Staff service was good.. Super friendly.. however, the rooms are not the best, AC not cold, sink in bathroom not draining well, no hooks in the bathroom for hanging towels or cloths, room windows couldn't close properly, and the door to our room can't open fully either.. Cleanliness in the room could be better, found some mold and dirt in the bathroom.. Overall, we did enjoy our stay however, hopefully all this little details can be looked into for future visits..
My friend and I stayed in Umae Villa for 2 nights. The staff were warm and welcoming. Always smiles on their faces. They helped to ensure our stay was memorable. We love the pool! You can have a nice moonlight dip and see the moon and stars up above. The bed and pillows are comfy. The location was great and nearby cafes, restaurants and shops. However, I feel the villa can be better if they provide an additional shower hose in the bathrooms. The toilet on the 1st floor was shaky and so was the tap near the bathroom. The tv sometimes might get bad reception. There's quite a lot of mosquitoes too but they do provide insect repellent. The only distance between the villas are very near and we can hear our neighbors talk pretty loudly so not really much privacy there. But i would definitely stay here again. It's quite a nice stay except for some small hiccups. The rooms are pretty clean but will have insects. There's and outdoor bathtub but be aware when use it in the night time as there's a lot of "flying ants" , which are attracted by light. The WiFi is not stable. I love the environment it's very quite and relaxing. The room is spacious but some of the amenities might need some refurbishment. There's food & massage within a quick 5-10 mins walk. Location is amazing, just a 5-10mins walk through a dark alley and you will find yourself with many western restaurants & bar. However the cleanliness of the villa need to be improved, many bugs & ants. We actually booked the 1 bed room villa with direct access to the pool from our bedroom, however was given another room which the bed room is at level 2 and the dining and pool is at level 1. In Agoda it indicated there will be hairdryer, but no, villa doesn’t have hairdryer. The stay in the villa was fantastic. Cleanliness is great. 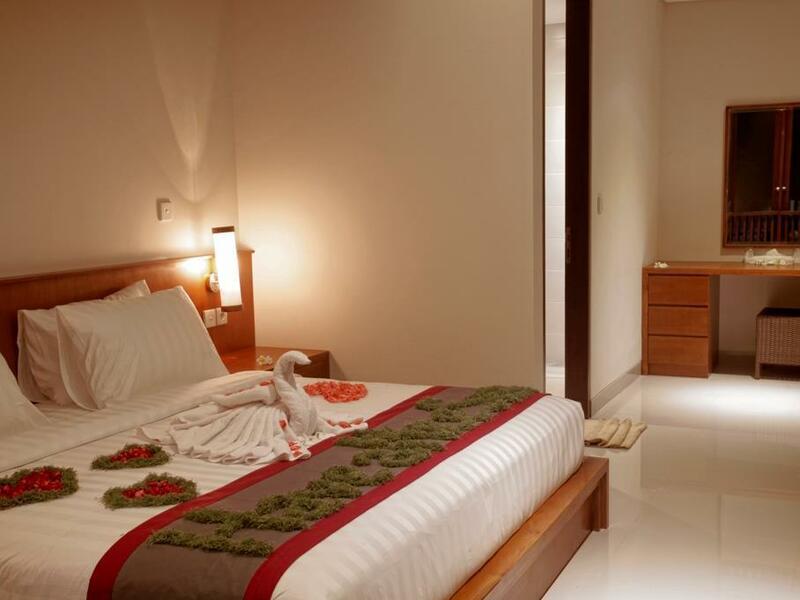 Location wise, close to many restaurants to explore but far from Kuta city where the nightlife and shopping located. However, if you’re joining Tours or just planning to chill at the villa, it’s a great location to choose. Quiet, serene, pool is great for dipping. Sad point is the breakfast option is not much variety, but food served was great in taste. Staffs are super friendly and helpful. Will definitely return again if I am to visit again. Private Pool was awesome. The staffs were very polite and friendly. But they must include a telephone in the room and also the breakfast can be improved. Overall experience was very good. A very good place near the Monkey Forest and City center. Thank you Umae Villa! big,comfort,clean (specially very clean pool water) & kind services. location very convenient too. one thing not I like much is quite dark in night during way back to room... anyway,we have lot fun in our own pool. We will definitely book this hotel again when we come back. Aircon is not that cold but it’s ok. Pool is clean. The downside was the lights inside the room is dark. Breakfast was served in the villa and the staff are all polite. They also have free shuttle 3x to ubud center.